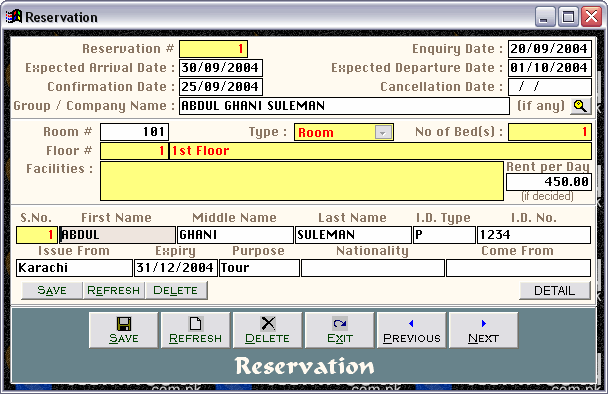 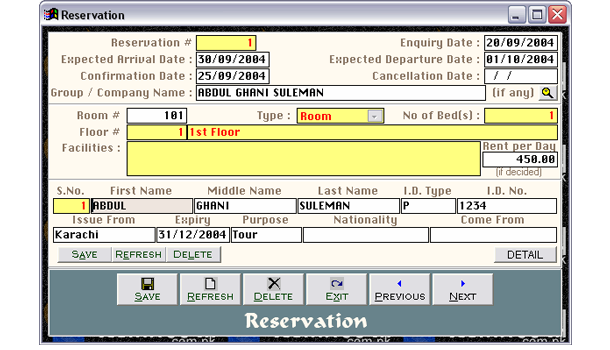 Cleantouch Hotel Management System is developed to give power of control over Reservation Inquiry/ Confirmation/ Cancellation, Check In / Check Out along with complete record of guest and their activities (e.g. 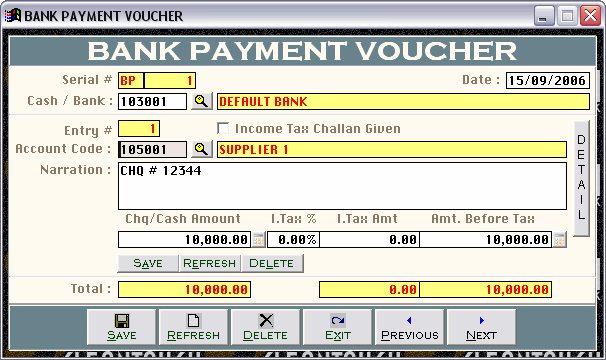 Availing Services & Purchasing Products during stay in hotel and part payment against bill). 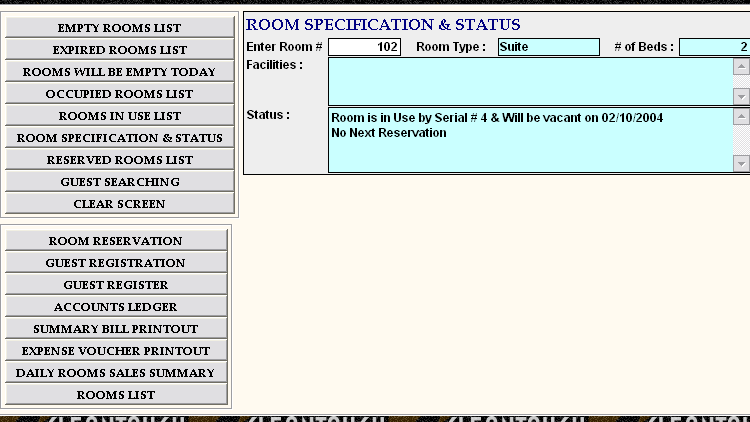 User can also maintain picture gallery for each check in / check out to store copy of N.I.C., Passport, Photo(s) of Guest ETC. 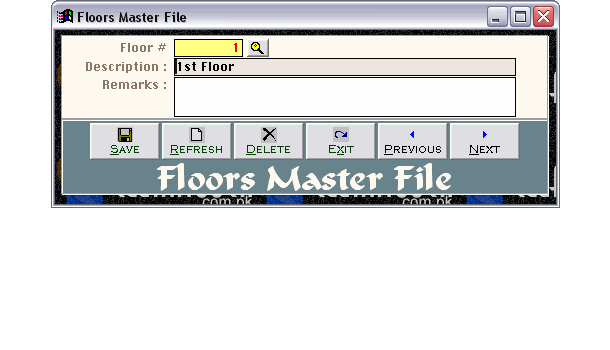 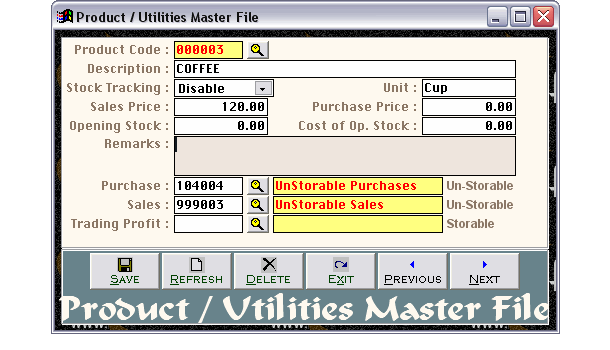 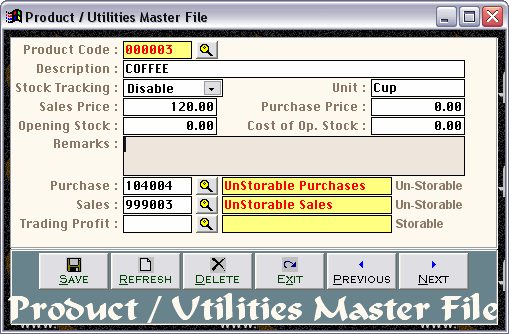 Inventory module in this system provide users an options for purchase & sale of storable / un-storable items. 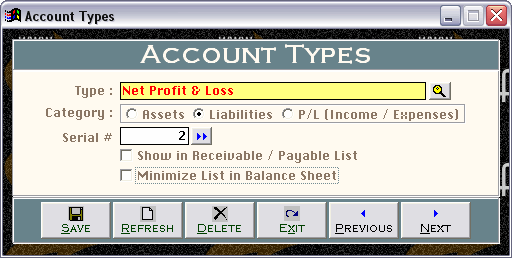 Accounting module of software is integrated with all other modules up to Net Profit / Loss & Balance Sheet. 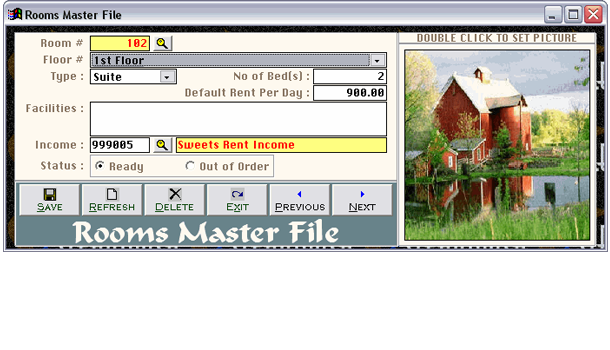 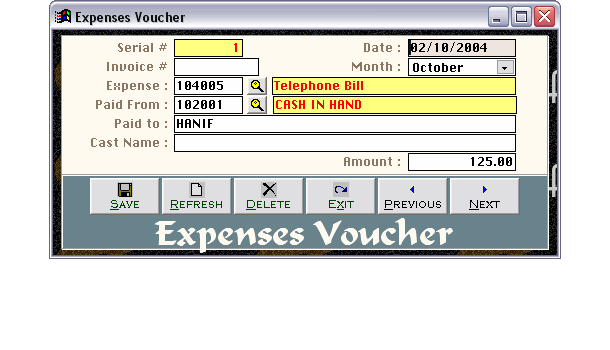 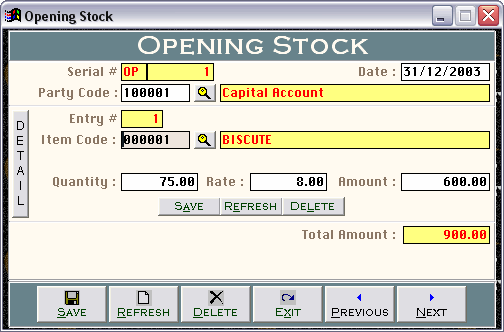 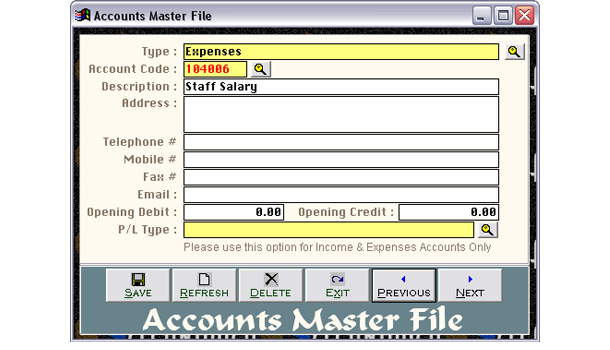 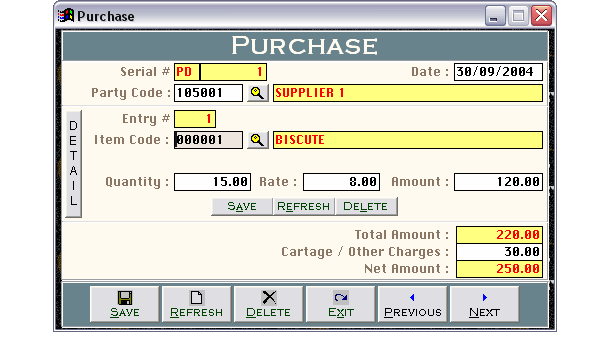 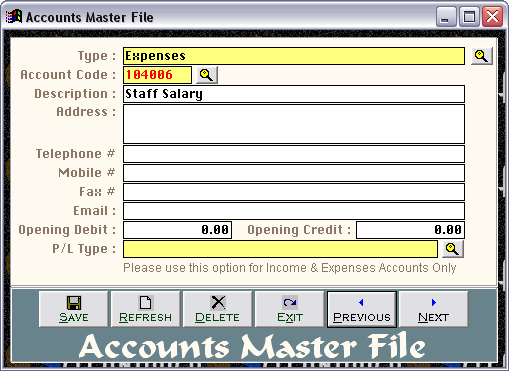 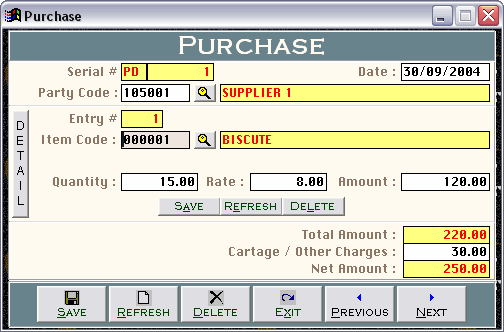 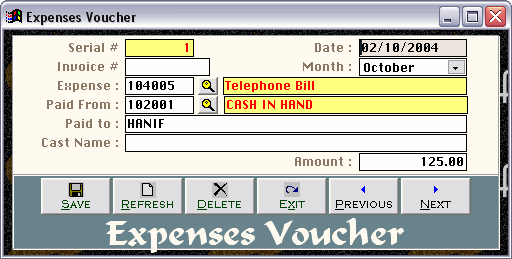 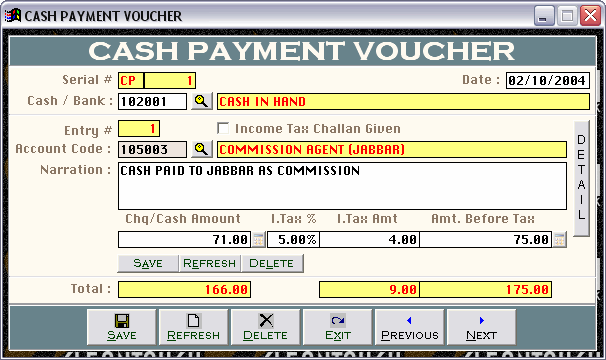 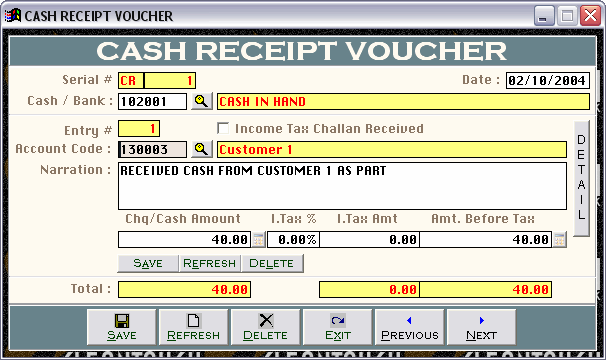 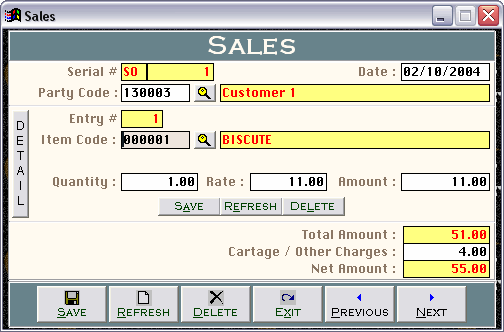 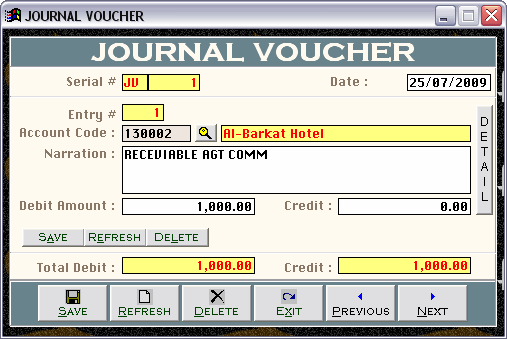 User can define vouchers categories as like within accounting module. 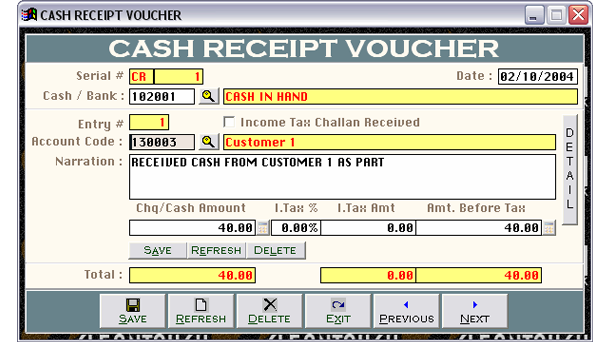 There is an option to deduct income tax against payment to others and post income tax deduction at the time of receipt. 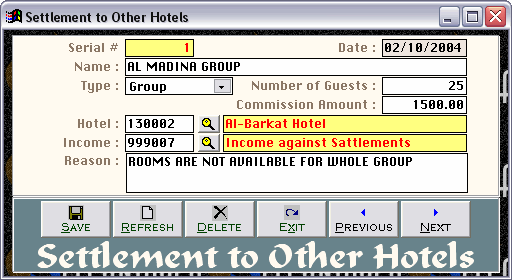 Cleantouch Hotel Management System allows maintaining profit loss by different categories like P/L of Hotel, P/L of Restaurant & Other P/L. 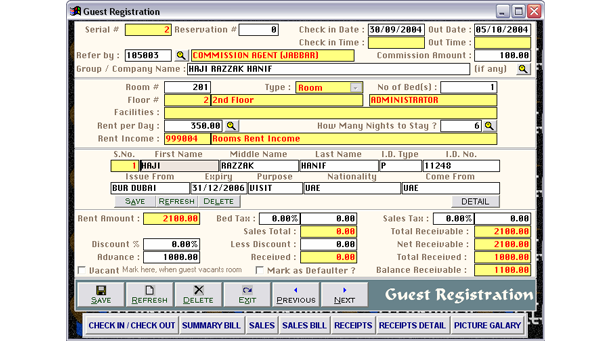 User can also apply Bed Tax & Sales Tax on each check in / out bill. 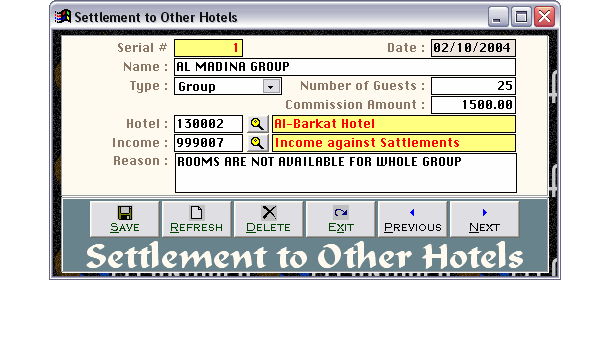 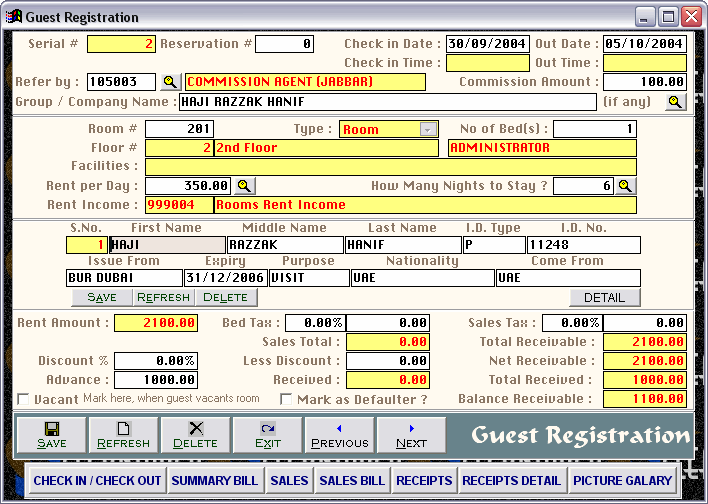 There is an option to record settlement to other hotels and post receivable of commission amount against settlement. 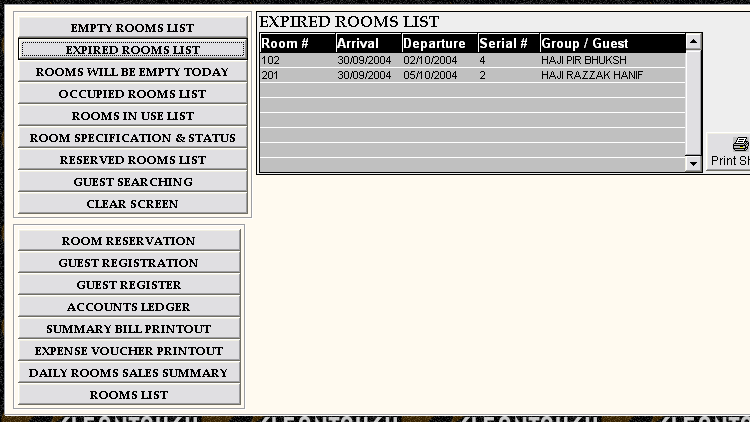 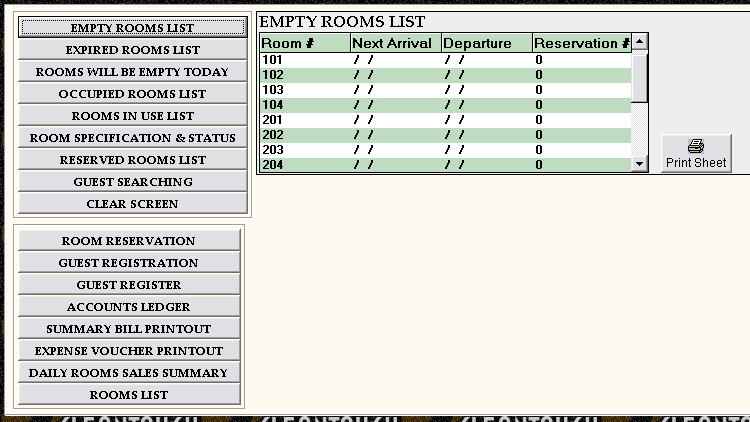 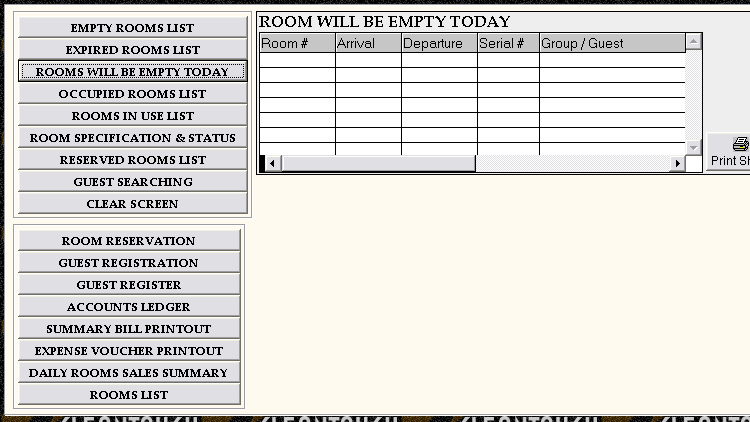 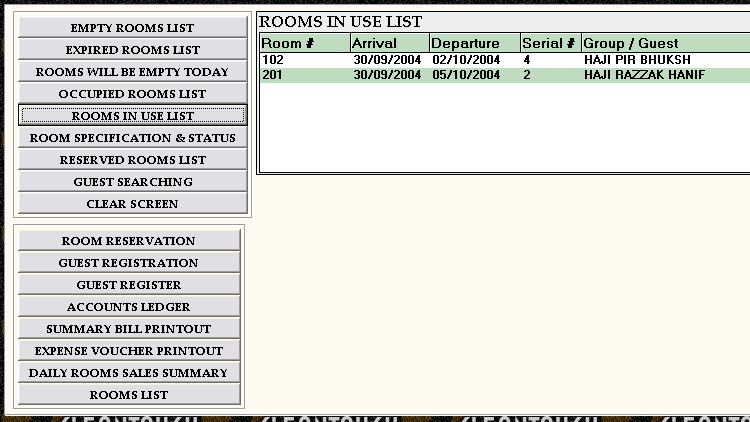 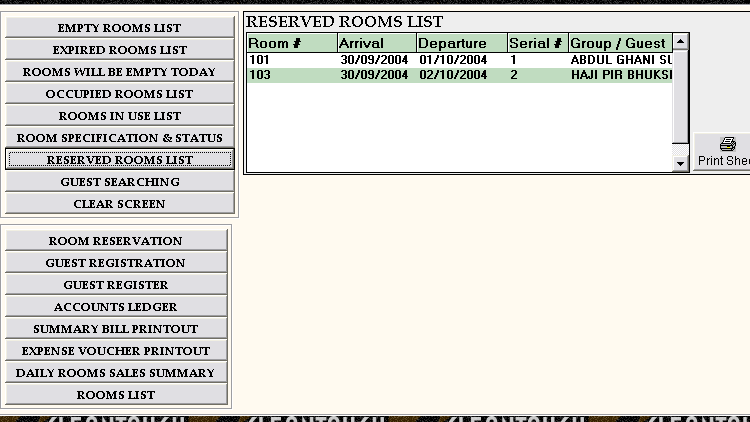 All the guest records are based on individual and group / company.